Popular video player VLC has been absent from the iOS App Store since it was pulled without explanation in September, but the developer of the app has indicated it could become available for download once again as early as next week. Felix Paul Kuehne, lead developer of VLC for both iOS and OS X, posted in his app's official forums last week, revealing that VLC for iOS will return to the App Store. The developer said it is likely to become available soon after the new year begins, due to Apple's annual iTunes Connect holiday shutdown. Assuming the new version of VLC will pass Apple's approval process, that puts it on track to launch as soon as next week. The apparent impending re-release of VLC for iOS was spotlighted by iPhone Hacks. Earlier this month, Kuehne revealed that a semi-public beta of VLC for iOS would be launching shortly before being submitted to Apple for review. The developer admitted that Apple's review process was proving "more difficult than expected." Kuehne didn't indicate exactly why he was confident about the release window for VLC, but his comments do suggest that he believes the app will be approved and made available to download. VLC has had something of a tumultuous past on iOS, having been pulled from the App Store only to reappear multiple times. Earlier this year, the media player gained support for Google Drive downloads and Dropbox streaming, along with a redesigned user interface. Also still unknown is why the VLC application disappeared from the App Store in the first place. 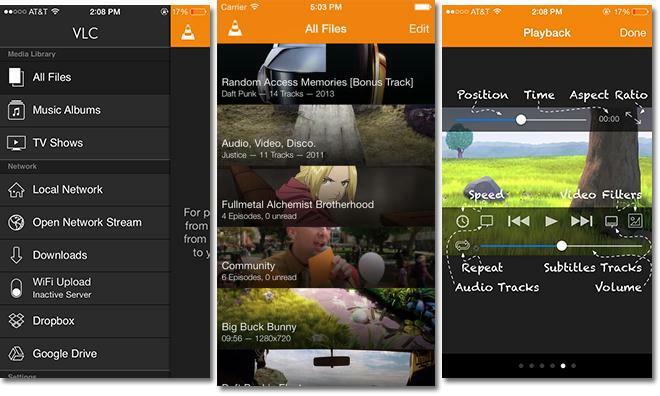 VLC for iOS was removed in September, and supporters have suggested the removal may have been due to licensing issues.